This 30-acre park offers trail running and hiking in an urban oasis, with packed trails and creek crossings. 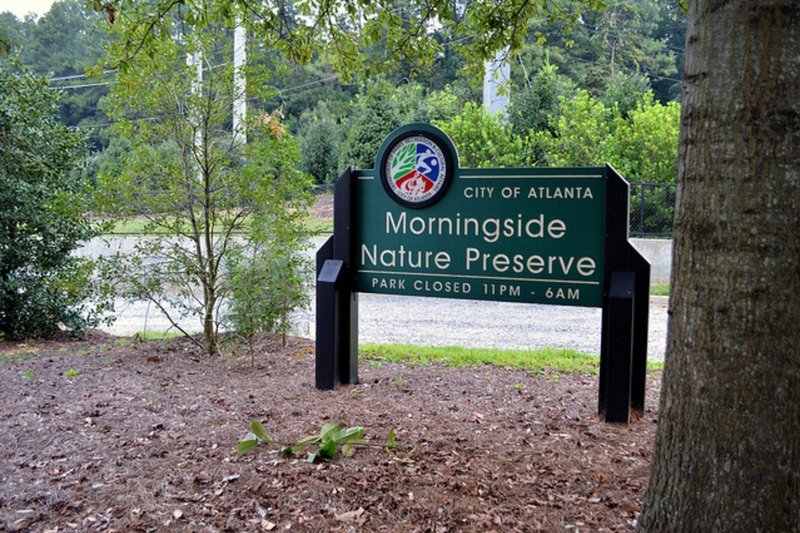 The Morningside Nature Preserve is an Intown oasis quietly tucked in Atlanta’s urban landscape. While Midtown and Buckhead are less than 10 minutes away, the preserve feels like you’re in the woods of North Georgia. An out and back from the east to the west end of the park rounds out at about 2.5 miles, and there are many trail offshoots where you can tack on distance. 30 acres of preserved land gives runners and dog walkers a variety of different terrains. A mix of mulch, packed dirt and mud keep your legs feeling fresh throughout the whole run. The trail carves through the woodlands of the park, and traverses over bridges and across open grass-grown fields. The most extensive section of trails is on the western side of the park, where winding trails connect . 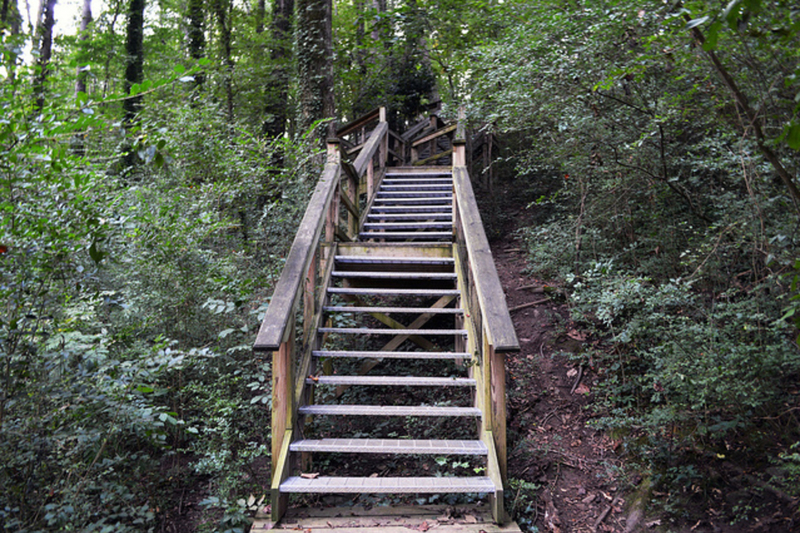 Typical of Atlanta, there are several short, steeper climbs but the max gain is a mere 18 feet. On the eastern side of the park, a three-story set of stairs is built into the hill. It’s a good break in your run to amp up your heart rate and work out your glutes. Some parts of the trails, specifically outside of the woodlands are narrow, and you’ll find overgrown bushes reaching out across the path. Be careful as brambles and thickets can easily latch on to your bare skin and scratch you. After a heavy rainfall, expect the trail to get muddy, specifically in the low-laying valley portions. If you want to feel like you’re running on air, make sure to cross the suspension bridge. It straddles Peachtree Creek joining the east and west sides of the park, and as you run across the bridge, the bounce lends itself to a sub-gravity feel. The east side of the preserve is cut in half by a power line field. Plan your run in early morning and start at the parking lot. After running up the mulch hill, you’ll cross the field on a narrow path. Look left, the sun illuminates the field and highlights bounce off the tall grasses. 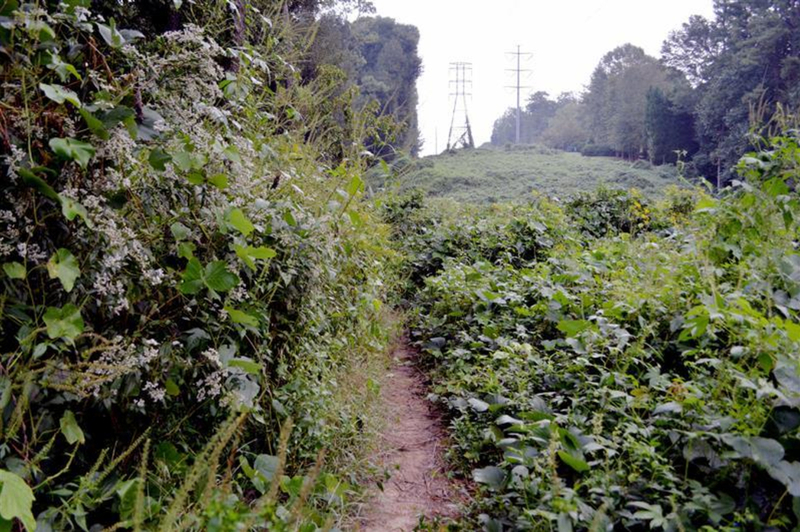 In-town runners who are itching for some trails, but don’t want to make the trek to the Chattahoochee River National Recreation Area can incorporate the preserve into their run to break up the jarring surfaces that Atlanta’s roads have to offer. 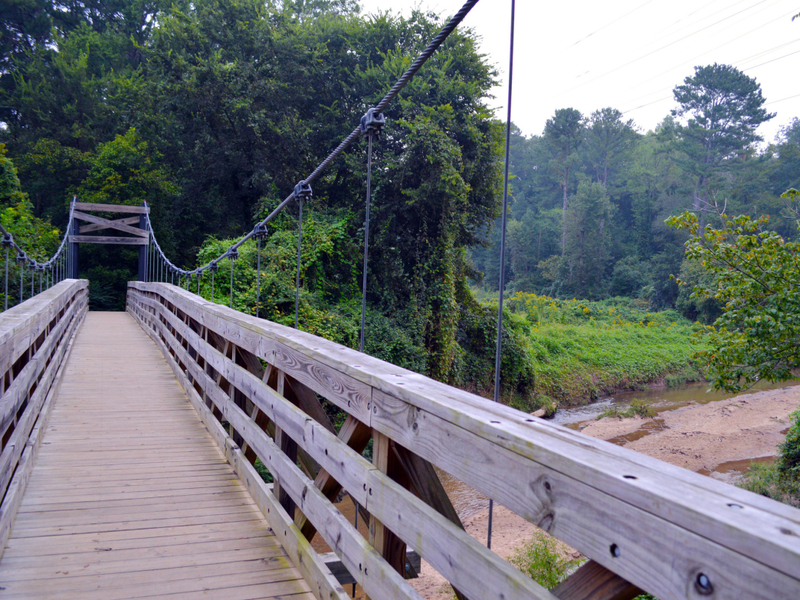 Dog owners frequently bring their pups to play on the sandy shores of Peachtree Creek under the suspension bridge. The water is shallow and calm. The creek bed has the feeling of a dog park with banked dirt walls acting as a natural barrier to the trails and other park-goers. In the summer, you should take a dip too because the creek is well maintained and clean. This park is truly one of Atlanta’s hidden gems. While it is easy to get turned around from the arteries of trails, it’s no more than a two minute loss. The main trailhead and parking lot is off Lenox Road NE, just under the power lines. Another trailhead is off Wellbourne Drive. It’s best to park on the same side of the road that the park is on.) 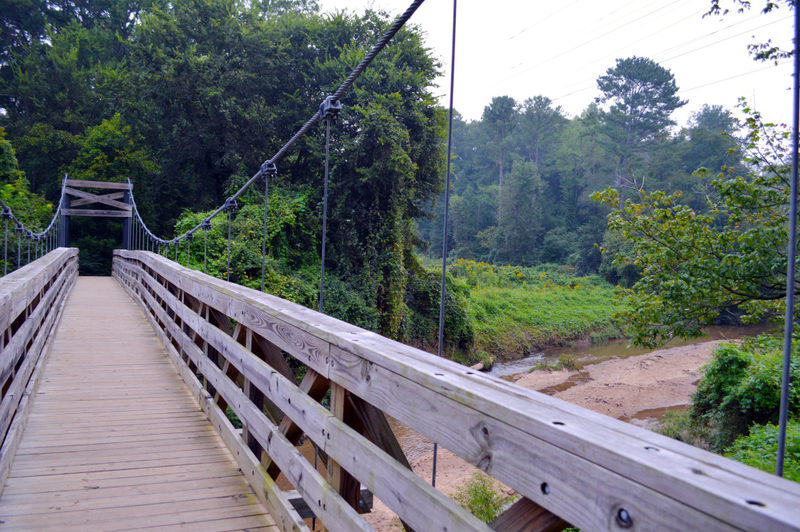 Dogs will love romping through Peachtree Creek, and the best spot to set them free is under the suspension bridge. All parking is free.